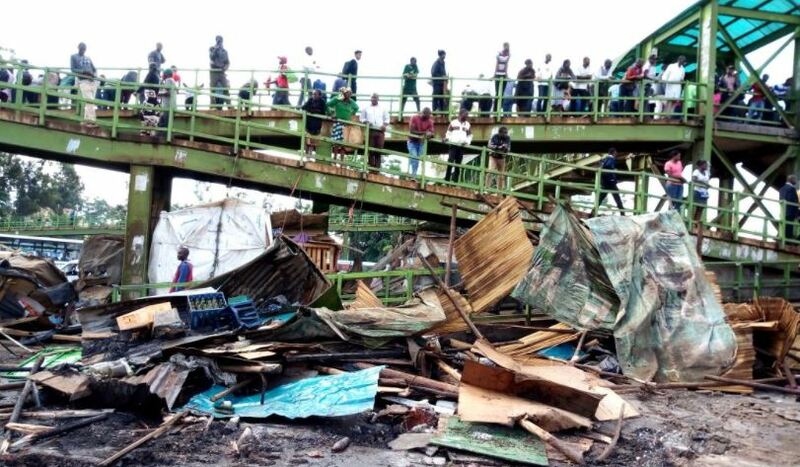 The Nairobi County Government on Tuesday demolished illegal structures in Ngara area to pave way for a matatu terminus. The demolitions which took place at Figtree left traders stranded and counting loses. One businessman lamented the loss of his property worth Sh50,000. He says the 24-hour notice did not give them enough time to set up business elsewhere. 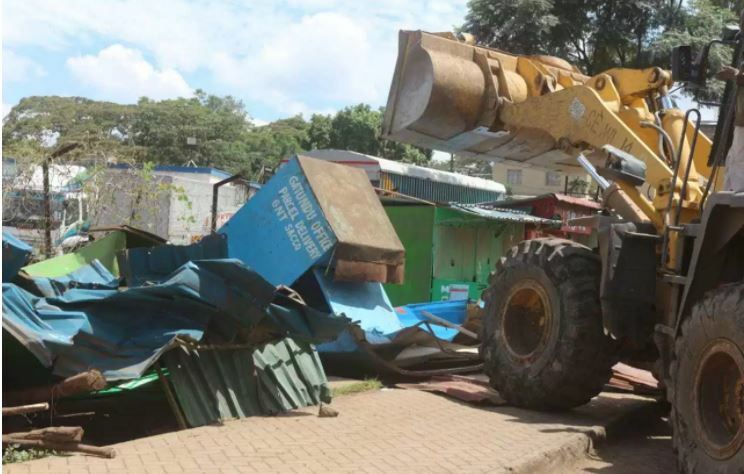 A cereal businesswoman says that her demolished shop was only two months old and she had spent Sh100,000 to construct it. She blames the County government saying they would have given them at least a week to settle for other option. 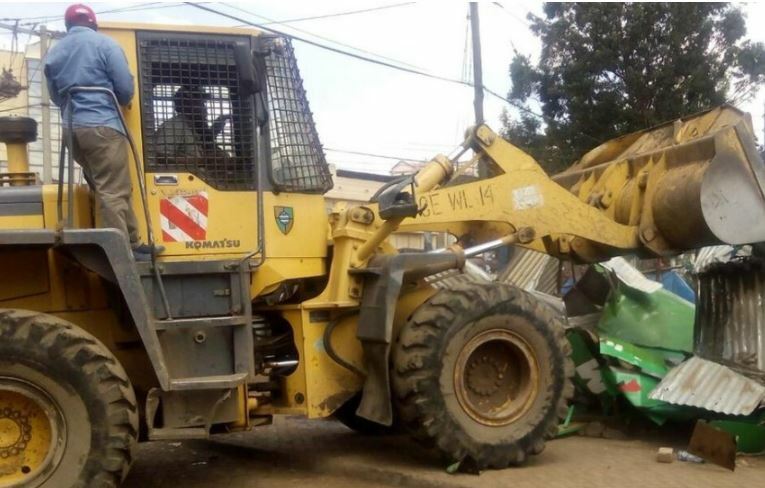 However, Deputy director of enforcement Peter Mbaya said a three-month notice that had been extended by two weeks for businessmen to vacate the area had expired. “Once we give notice, I don’t think we need more consultation, Nairobi has to be orderly,” he said on Tuesday. He explained that the operation is targeting businesses that are illegally positioned in public areas which limits movement of matatus in and out of the city centre. “The operations has started in Ngara where we have Muranga Road (Fig Tree) terminus A and Muranga Road (Fig Tree) Terminus B where traders have encroached leaving no space for the matatus,” Mbaya said. After the demolition process at the Fig Tree terminus in Ngara, the government will move the process to Desai Road, Park Road, Muthurwa, and finally Railways. He, however, noted that this was an interim move, saying that matatu movement in the CBD will eventually be phased out. Mbaya added that the operation was executed by a multi-agency team that comprises all security agencies and will continue for the next three days. He said that the operation will also be carried out along Thika Road around the GSU headquarters.